Having offered two reflections lately that relate to nutrition, I’ll posit a couple of other related questions that have my attention at the moment. Firstly, can there be a healthy relationship between the marketing of pink iced buns and chocolate biscuits and the “fight” (as it is usually described) against breast cancer? This question comes from the Australian context where those two items are indeed promoted on the basis that a proportion of the sales from them contribute to the “fight.” I do ask the question with concern but not with a sense of having a “fix” to a “problem.” I’m not building a bandwagon from whence to campaign against pink buns. Equally though, I wonder if there is a third way for this conversation? 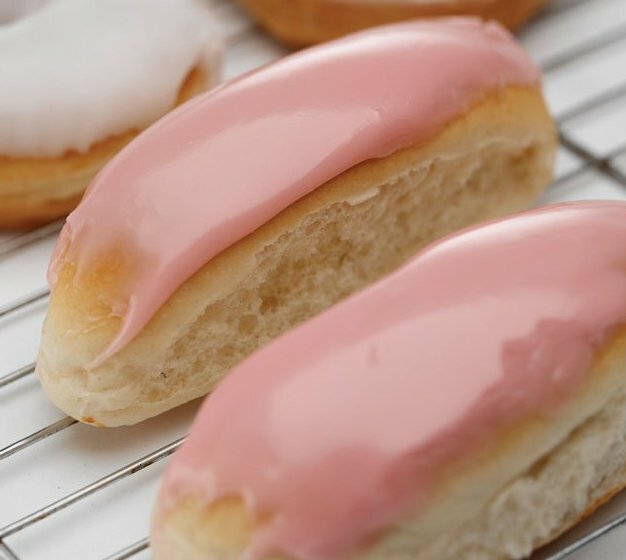 As a (possibly silly) example only, the promotion of organic-spelt-stevia-sweetened-real-fruit iced buns as part of contributing to breast cancer awareness and support might be a start. Oh, and that “fight” language needs a conversation too. Cancer is a horrid thing that has affected most families, including mine - so please don’t read what follows as “cancer sufferers only have themselves to blame”. What happens though when we look at it from a real community standpoint? Life is about both limits and potentials, so cancer might be telling us something about our collective places within those limits and potentials. With this view we might stop “fighting against” and start “learning from” this unwanted, but ever-present partner. I wonder what a set of social policies primarily predisposed to health and well-being might look like, rather than a set of social policies pre-disposed to medical intervention and hospitals? Especially when the latter are partically funded by the very things that put us there in the first place? Seems to me, as the father of a young adult daughter with brain cancer, that its the latter disposition that drives the 'search for cure' industry. Jumped on and pushed by a marketing industry of dubious ethics, of course. Don't get me wrong - I yearn deeply for an effective and timely resolution to my beloved daughter's brain cancer. And research, medical interventions and hopsitals have been essential agents in sustaining her 10 year remission until very recently. Yes, I'm more than greatful for all that has been done. And I'd give my own life to save hers if I could. But I can't help wondering if the orhardist had sprayed his fruit tress at night when workers - including my daughter - were not in orhard, if that might have made a difference. Or if the highly overprocessed and gently controlled food available through super markets contributed to my daughter's health issues. Or was it something in the over treated, hyper-clean, de-bugged water? Maybe it was the household cleaners that promised a germ free environment... or was it unseen but deteriorating galvanised water pipes that leached a powerful toxin? Maybe its just part and parcel of the human condition - frailty and vulnerability in the very fact of life at all. Pink, pink, pink!!! But I am weary of the breat cancer research industry. Of all cancers, more seems to be known about genetic predispositions, markers , likely timing and preventive action for this cancer than almost any other. By comparison, research into brain cancer is almost non-existent. Perhaps that is because it is always, 100% fatal. One wonders if it its emotional stuff that surround "breasts" that drives the leeming like rush to fund breast cancer research. Why is funding research into various cancers so competitive anyway, pitching one form of cancer over againt others in the fund-raising industry? So, what would a health and well-being sopcial policy in respect to ingesting cancer causing agents look like? Social responsibility in promoting health and well-being? You bet! Or is that too diffcult because it questions the divine right of companies to exploit for profit? This is typical of what happens when economy is placed at the head of the table. Well, wake up - 'its about health and well-being, stupid'!